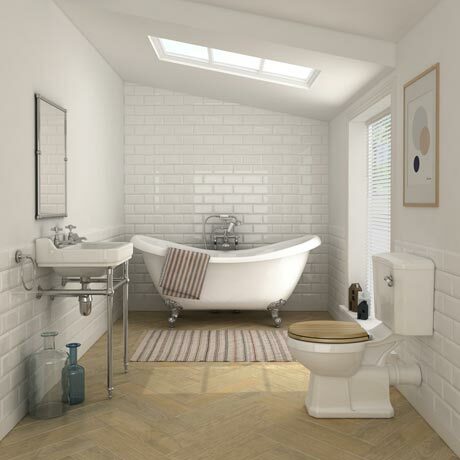 The elegant Keswick traditional roll top bath suite, ideal for creating a period look in your bathroom. Features a quality double ended roll top bath, a close coupled toilet with a stunning traditional 560mm wide basin and chrome wash stand. Bring an early Edwardian sensibility and style to the bathroom.